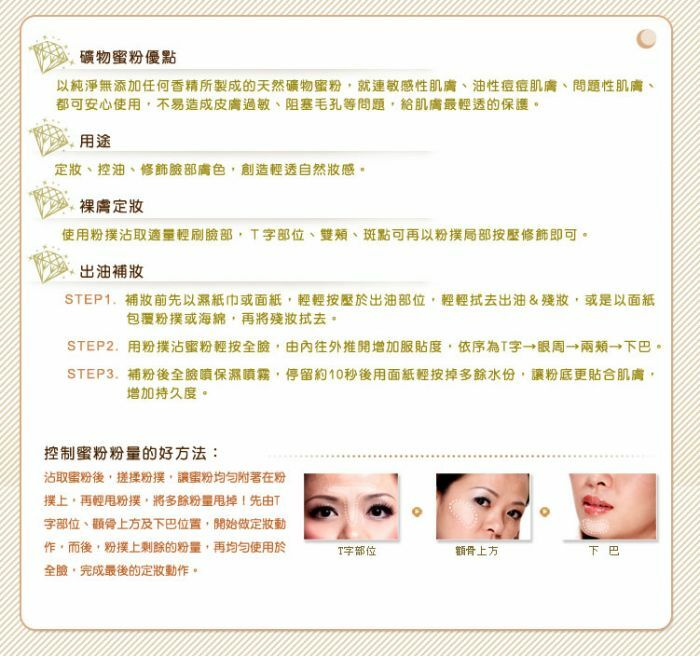 Use small amount of loose powder, pat evenly to the face like T Zone, cheeks, spots can be further modified to puff in order to enhance the sense of perfect skin makeup. 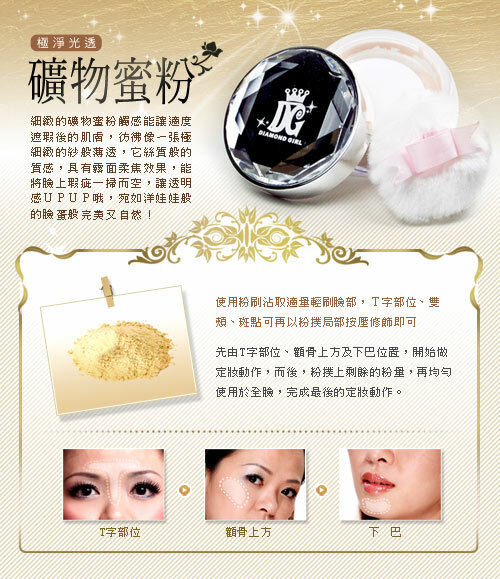 Oil Control, Modified lit facial skin color, and create a sense of light through the natural makeup. 1. An image color of product due to computer screen set up slightly different to the actual product colors prevail. 4. Please keep out of reach of children.